Gunung Kujau is located to the north of the larger Gunung Saran. 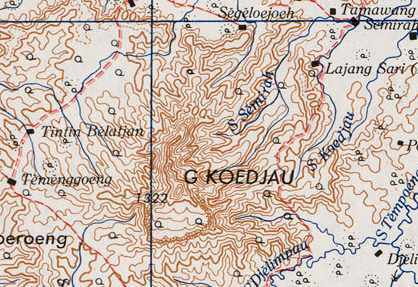 Kujau’s elevation is listed as 1,322m on an old US Army Map but local hikers suggest it is more like 1,308m. Accommodation: Sintang is the closest main town and airport.